So that was me this morning, having my obligatory scrambled eggs and whole grain toast to clear my conscience in preparation for cinnamon rolls. Boy are they good! I see why so many people love this recipe. It’s easy and you can actually make this recipe with no butter at all, which is what I did. I used Canola Harvest instead of butter for the filling and didn’t miss the butter at all. Click here for the recipe. These sweet rolls are soft and gooey and they smell amazing. I used Saigon cinnamon, which is more potent than the popular Ceylon cinnamon and I highly recommend it. Anyway, there’s only half a pan left now and that won’t be around long since I’m having it for dessert tomorrow. 6 Comments on "Cinnamon Rolls on Sunday"
I’ve made this cinnamon roll recipe 5 times and they’ve turned out perfect every time. Side note: I don’t toss away the ends. I spread the butter and brown sugar all the way to the edge. I don’t want to waste even that little bit. An absolute winner. Thank you, Jenny! May i ask a question re your lemon brownies? Do you recommend testing them if baked sufficiently? Some of your readers may use glass vs metal and 20 minutes may not bake them properly. Jenny I made the garonola bars today but only had a 8by 8 pan and they did not turn out how long would I cook them &I what temp for that size of pan. I don’t drive so it is a bit difficult to get the sight size of pan. 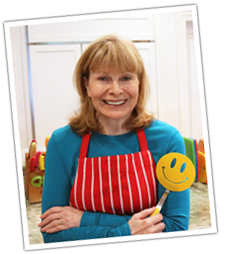 Would really like to hear from u. I love ur site on utube &I tomorrow am going to make ur cinnamon rolls. Then ur wheat bread in 90 mins thank u so very very much!!! I’m not sure this recipe will work in an 8 x 8 pan. The mixture will be thicker in the pan but if you cook it too long, it might get too dry. I have only made this in a 9 by 9 and even then, you have to press the mixture down really well to keep the bars from crumbling. I really can’t advise on something I have never done so if you had trouble with the 8 by 8 I suggest waiting until you get a 9 by 9 (maybe online?) because these granola bars are really, really good and worth making the right way. I am making them again tonight. Okay, Jenny I can totally understand cinnamon rolls for breakfast. A few second in the microwave………. 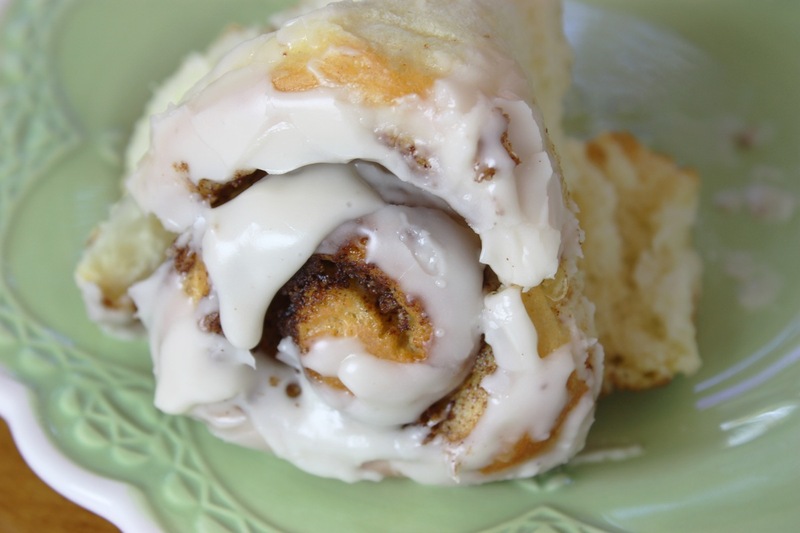 with extra cream cheese icing an heavenly way to start to the day!